We compared what $2,800 might get you in San Francisco, Oakland, San Jose and Santa Clara, using data from rental site Zumper to present a snapshot of the area's rental landscape. San Francisco -- 201 14th Ave. This 1-bedroom, 1-bathroom residence is located at 201 14th Ave. in San Francisco's Inner Richmond neighborhood. Asking $2,800 / month, it's priced 15 percent below the $3,295 median rent for a 1-bedroom in San Francisco. 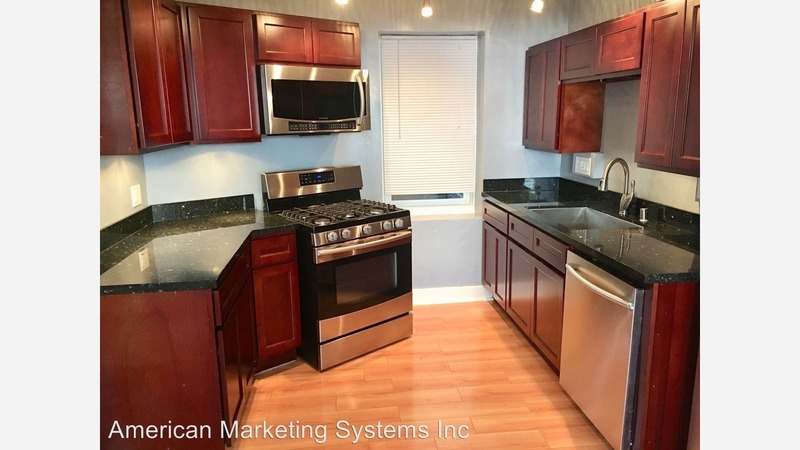 In the property, expect to find hardwood floors, in-unit laundry, a dishwasher, wooden cabinets, granite countertops and stainless steel appliances. The building offers on-site management. Pet owners, inquire elsewhere: this spot doesn't allow cats or dogs. Walk Score indicates that this location is very walkable, is easy to get around on a bicycle and is a haven for transit riders. Oakland -- 2518 MacArthur Blvd. Next, there's this 2-bedroom, 1-bathroom abode over at 2518 MacArthur Blvd. in Oakland's East Peralta neighborhood. It's also listed for $2,800 / month--6 percent pricier than Oakland's median 2-bedroom rent of $2,644. In this home, expect carpeting, a remodeled kitchen, parking and outdoor space. Pet owners, inquire elsewhere: this spot doesn't allow cats or dogs. Per Walk Score ratings, the area around this address is quite walkable, is relatively bikeable and offers many nearby public transportation options. Listed at $2,800 / month, this 1,122-square-foot, 2-bedroom, 2-bathroom condo at 277 Sumba Court in San Jose's Hayes / Tradewinds neighborhood is 5 percent higher than San Jose's median 2-bedroom rent of $2,658. In this abode, you'll get hardwood flooring, a dishwasher, in-unit laundry, a walk-in closet, a fireplace, a breakfast bar and air conditioning. When it comes to building amenities, expect garage parking, outdoor space, a swimming pool and storage space. Pets are not welcome. Per Walk Score ratings, this location is moderately walkable, is relatively bikeable and has a few nearby public transportation options. Santa Clara -- 150 Saratoga Ave. Finally, here's a 1,028-square-foot, 2-bedroom, 2-bathroom condo at 150 Saratoga Ave. in Santa Clara's Southeast neighborhood, listed at $2,800/ month. In the property, you can expect carpeting, granite countertops, a dishwasher and stainless steel appliances. The building features a pool and pets are not welcome. According to Walk Score's assessment, this location is somewhat walkable and has a few nearby public transportation options.